Looking for a snazzy way to wish a friend a happy birthday? Stop searching- this birthday card has got you covered! Super light-reflective balloons hover magically over a soft, blue background with a light sprinkling of tasteful confetti falling gently over the scene! 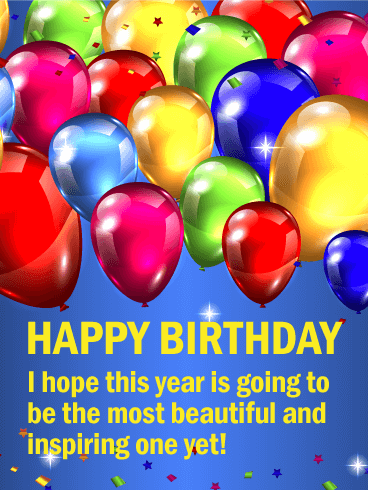 Send this happy birthday card to say you hope their year is the most beautiful and inspiring one yet! 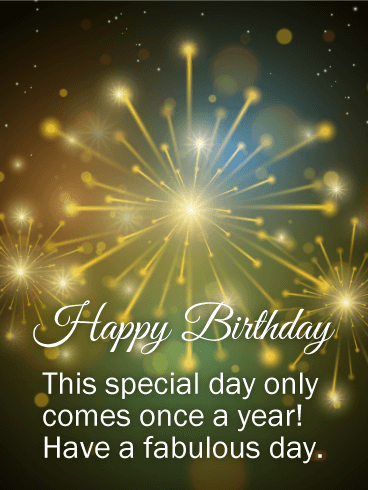 HAPPY BIRTHDAY - I hope this year is going to be the most beautiful and inspiring one yet! 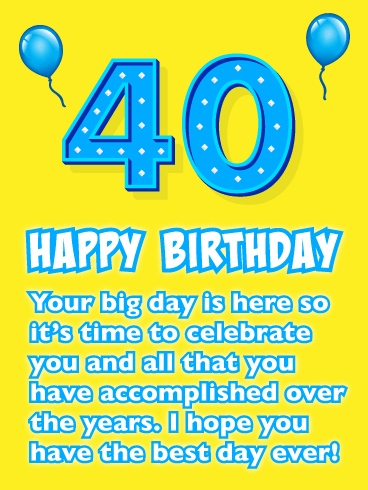 Make someone's 40th birthday even more special by sending them this fantastic happy birthday card! It showcases the number 40 as bright yellow balloons with celebration confetti. It has excitement written all over it! 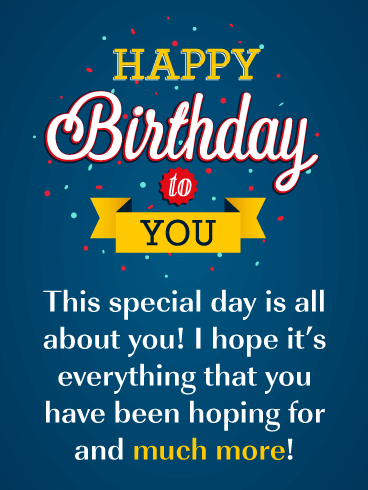 This lucky person in your life will have a great day knowing you were thinking of them on their birthday. Wish them a marvelous time and start their day off right with this impressive happy birthday milestone card! 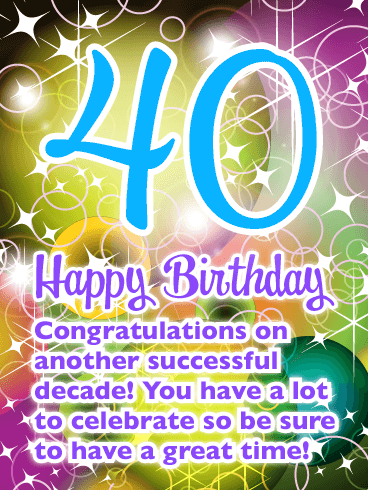 If you're not sure how a certain person feels about turning 40, send this inspiring birthday card their way! It will make them feel great about this big milestone they have reached. It tells them they are finally in their fabulous forties and that will add a smile to their face! This birthday card showcases the number 40 surrounded by stars, and birthday streamers were added for extra excitement. 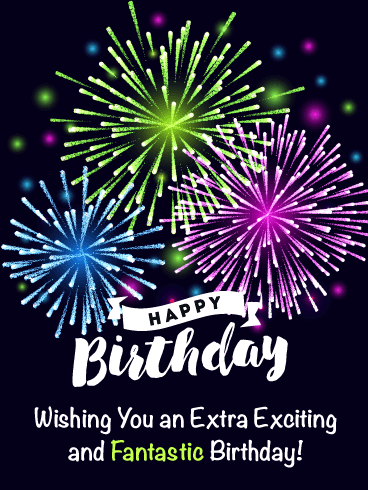 Hurry and send this birthday card so it arrives in time for their big day! 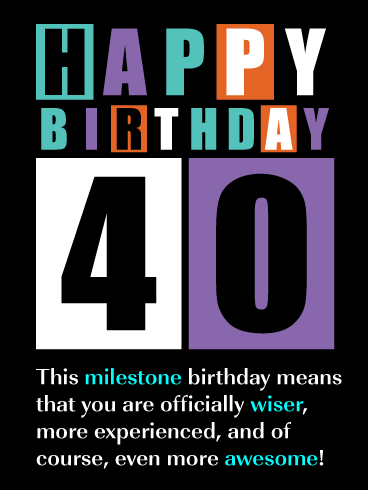 With big milestone birthdays, such as turning 40, a person can officially be labeled as wiser and more experienced! This is a gift in itself and your friend or loved one should be reminded of it with a terrific 40th birthday card! The number 40 is displayed creatively along with the words happy birthday and it certainly looks terrific! It will ensure that someone has a great birthday, especially after they read that you think they are awesome! 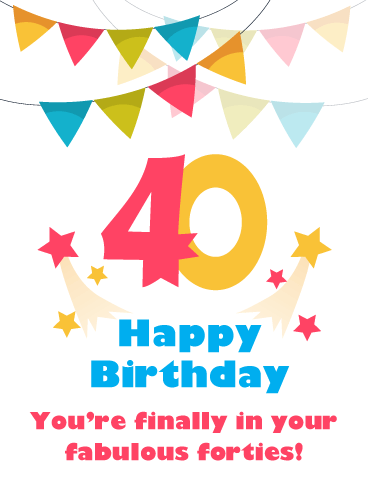 Send a 40th birthday card that reflects the occasion! 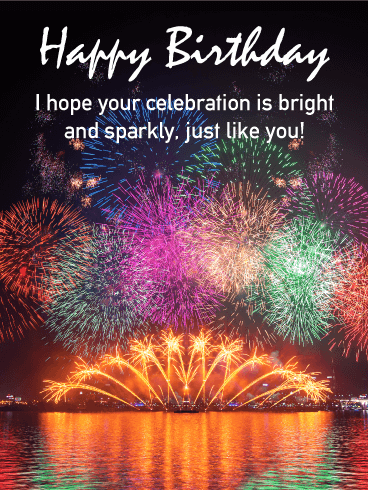 This spectacular greeting card is bursting with sparkling colors that represent that an exciting birthday is taking place! 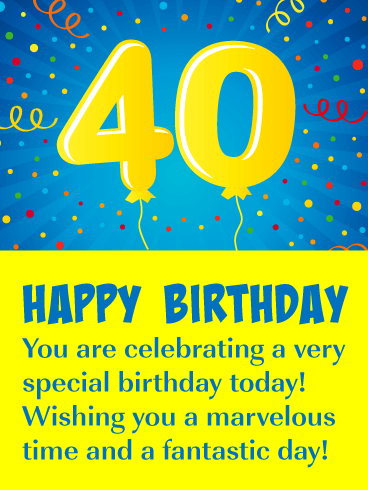 The bright blue number 40 is the first thing that is seen when this birthday card is viewed and it looks sensational! 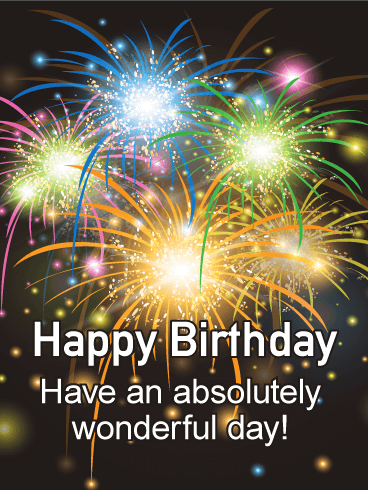 A 40th birthday only happens once in a lifetime, so send the best by getting this fantastic birthday card out today! 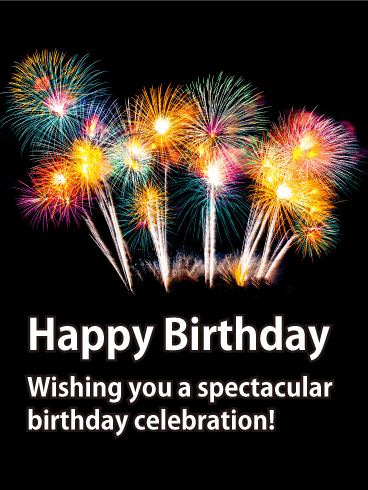 Send a bright and joyous birthday card to the person in your life who is turning 40 this year. They will certainly appreciate it! This dazzling greeting card features colors of yellow and blue, celebration balloons, and the number 40 displayed in a decorative way! These elements create an eye-catching 40th birthday card that anyone would enjoy receiving. The message reminds them that they have accomplished a lot over the years, this will make their birthday even more special! 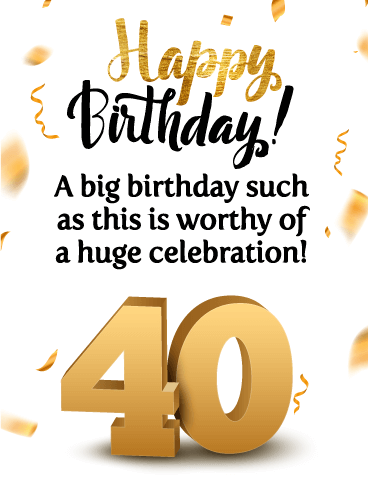 Let someone know just how worthy they are of a huge celebration by giving them this excellent 40th birthday card! Its colors of gold, black, and white make it perfect for a man or woman who has reached this big milestone! Golden confetti, fancy happy birthday lettering, and of course, a large gold number 40 to represent their age, fills this terrific birthday card and makes it very exciting!